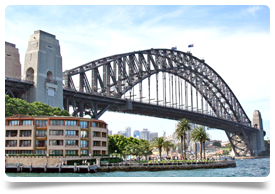 Head Medical are currently recruiting for experienced Obstetrics & Gynaecology candidates to work in a major tertiary hospital in New South Wales, just 1 hour south of Sydney CBD. Candidates must have at least 2 years Obstetrics & Gynaecology experience and have the ability to manage a busy birthing unit with O&G specialist back-up from Senior Medical Officers. Candidates must have a minimum of 2 years postgraduate experience and have a real interest in developing their career within Obstetrics & Gynaecology. Please contact Leona Young on leona@headmedical.com or call +44 (0)131 240 5265 for more details. Interviews will be held shortly and so interested candidates are encouraged to apply ASAP.